The Lavernia & Cienfuegos packaging design for Delhaize Jams have been awarded Best Redesigned Food Brand in the FoodBev Awards 2012. The Delhaize Belgium private label '365' Wines-of-the-World also received a runners-up mention in the Best Redesigned Drinks Brand category. 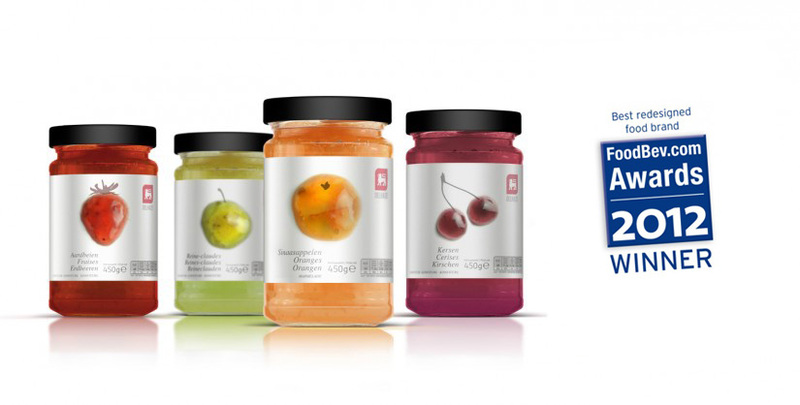 Best redesigned food brand – Winner: Delhaize Jams by Lavernia & Cienfuegos Design. "Own label gets sexier and sexier, so that it’s hard to distinguish from 'brands'. Delhaize Belgium Jam works and stands out because it has the confidence to be simple in a category crowded with heavy imagery." "The redesign of Delhaize Belgium Jams is to the point, focused, clear, clean, attracting the consumer’s eye by celebrating the core of the product (taste/fruit), making a lot out of a very simple thing. It's become more than just jam. Well done." 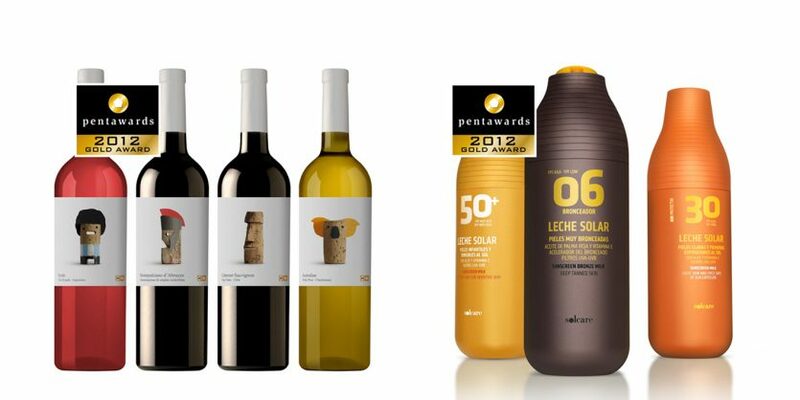 Wines of the World and Solcare have both been awarded Gold at the Pentawards 2012, the largest international design awards devoted to packaging design. In the 'Beverages' category, Wines of the World is a range of wine labels designed for the Belgium supermarket chain Delhaize in their private label brand "365". Solcare is a range of sun-care products for the Spanish supermarket retailer Mercadona, awarded in 'Body - Own Brands'.